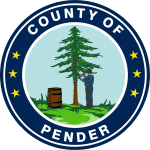 Pender County is currently involved in the administration of Mitigation and Recovery Programs funded by the NC Division of Emergency Management. During the course of these projects, Pender County will require services from a North Carolina Licensed Asbestos Inspector. The County will require asbestos inspections for the elevation, mitigation reconstruction, or acquisition/clearance of approximately thirty-five (35) residential structures. If your firm is interested in providing these services to Pender County, please contact Chantel Rico at admin@hcpplanning.com to request a RFP by April 22, 2019. 1) Submit Letters of Interest and applications for, and manage, proposed Hazard Mitigation Grant Program (HMGP) and Flood Mitigation Assistance (FMA) elevation, reconstruction, and acquisition activities for all federally declared disasters and annual FMA application cycles occurring prior to December 1, 2021. These activities are to be conducted with FEMA funds pursuant to the Robert T. Stafford Disaster Relief Act, the National Flood Insurance Reform Act of 1994, and the State of North Carolina’s Flood Mitigation Administrative Plan, as administered by the NC Division of Emergency Management. 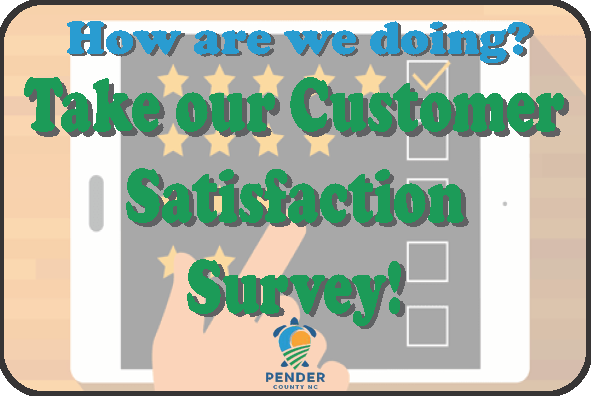 Upon selection of a qualified consultant(s), Pender County will enter into contractual agreements with the consultant(s), based upon the planning and management needs to be determined by the county and the prospective funding agencies. Following contract negotiations with the planning and management consultant, the county plans to undertake a similar effort to procure professional engineering services required for the elevation and reconstruction components of HMGP/FMA projects. This is not a request for professional engineering services. Each proposer must submit complete proposals in the format provided in the RFP. Proposals must be in a sealed envelope and clearly marked “HURRICANE FLORENCE HAZARD MITIGATION GRANT PROGRAM AND FLOOD MITIGATION ASSISTANCE, PLANNING AND MANAGEMENT SERVICES – SPECIAL PROJECT RFP” in the lower left corner of the envelope. Mailed, delivered, or e-mailed proposals must be received by no later than 5:00 P.M. EST, Friday, January 11, 2019, to be considered. Proposals will be rated by the County staff prior to recommendation of an award of any contract. Procurement of planning/management firms will be accomplished in accordance with 2CFR200 and the North Carolina General Statutes relating to procurement of professional services. Headwater Conditional Rezoning Community Meeting #2 – August 16th at 6:30 p.m.
Pender County Planning Staff recently met with the applicant of the Headwaters conditional rezoning case, tabled at the August 7th Planning Board hearing. Based on this conversation, we’d like to notify you of an additional community meeting on Thursday August 16th at 6:30 p.m. in the Hampstead Annex auditorium. Partnering with the North Carolina Department of Transportation, Pender County will hold a drop-in session to present current timelines on the Hampstead Bypass and Median projects. The session will be held at the Hampstead Annex, located at 15060 US Highway 17, Hampstead, NC on January 23, 2018 beginning at 5:00 p.m.
Members of the public and interested parties are invited to review current project timelines, designs, and funding for the Hampstead Bypass and Median projects. Pender County Planning staff has scheduled two public meetings in Burgaw and Hampstead this week to seek additional public input on the draft of Pender 2.0, the Comprehensive Land Use Plan update, including the Future Land Use Map and recommended actions on the “Top 10” items in which we received public comment on. We encourage the public to engage in the process and emphasize the importance of this document and the positive direction it guides our community over the next few decades. These will be drop-in style meetings in which the public will be asked to cycle through a series of maps and priorities while being provided the opportunity to leave comment on the draft product. In addition to this input, Staff will be at both the public libraries to address one-on-one interaction with interested citizens and stakeholders. Pender County Library (Burgaw) – January 16, 2018 @ 10a.m. – 4p.m. Pender County Annex (Hampstead) – January 17, 2018 @ 10a.m. – 4p.m.